This one-of-a-kind, 3-hour tour travels inside the world of mixed martial arts (MMA) and professional boxing, providing the rare opportunity to discover what top-level fighters go through before entering the ring or cage. Visit four premier training facilities and have the opportunity to take photos, purchase exclusive gym merchandise, and maybe even interact with some favorite fighters. Here's a chance to go behind the scenes of the fascinating world of mixed martial arts (MMA) and professional boxing. 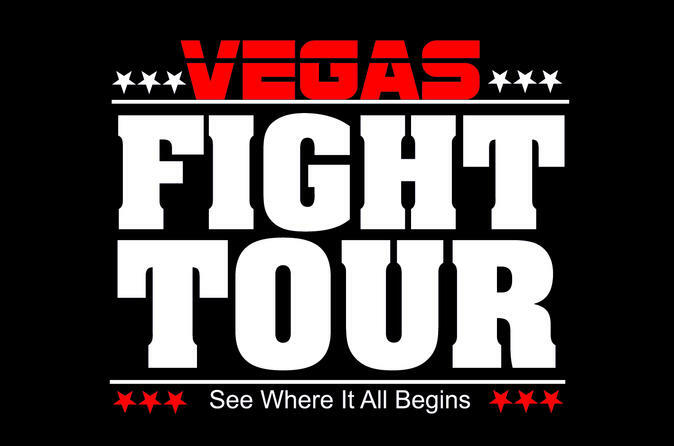 With some help from a knowledgeable tour guide, learn about MMA and boxing and the role that Las Vegas plays, along with a little Sin City history. The tour guide is there at every stop and will lead the way through each facility, providing unique information about each venue along the way. Xtreme Couture: owned by Hall Of Fame legend and the most-decorated UFC heavyweight champion, Randy Couture. Xtreme Couture is a must see for any MMA fan. One of the stars of the hit movie 'the Expendables,' Couture is one of the most recognizable figures in MMA history. See this remarkable gym that Randy has built from the ground up. Wand Fight Team Gym: Established in 2009, this is the gym of MMA great Wanderlei Silva. In 2011, the Wand Fight Team Gym was named the Best MMA Gym in the World by 'Fighter's Only' magazine. Inside, see many items from Wanderlei’s personal collection, including trophies, belts, photos, and more. Mayweather Boxing Club: That’s right, the gym seen on HBO’s 24/7 series and now on Showtime’s 'All-Access' is one of the feature gyms on this tour. Not only is this gym home to the highest paid athlete in the world, Floyd 'Money' Mayweather, it is a training ground for many elite MMA athletes and boxers. Johnny Tocco's: Built in 1953, this legendary boxing gym has been home to the biggest names in boxing history, including Sonny Liston, Muhammad Ali, Marvin Hagler, Larry Holmes, Bernard Hopkins, and Mike Tyson. An old-school gym that travels back in time to boxing’s rich history.